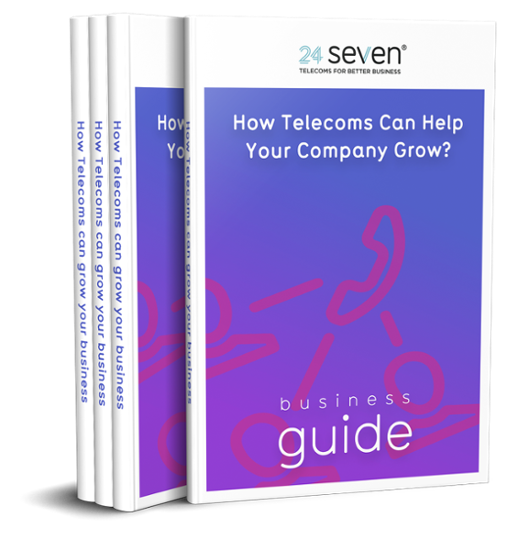 Telecommunication Services from 24 Seven: Why Choose Us? First of all, you are here because you need a new business telephone number and maybe new telecommunication services! You’ve spent some time researching the options, and are vaguely aware of what’s out there. However, this is it – decision time. If you’re still not sure whether you need a local 01 / 02 or a revenue share 084 number, or if you fancy going all out with a bespoke telecommunication service with the latest functionality, then read on! We’ve got you covered with this article. To help you make the best decision, below we break down the different kinds of business phone numbers and packages available. We explain why the exceptional telecommunication services at 24 Seven should be your first choice. For example, do you want to keep your new phone number locally relevant? Then an 01 / 02 number is your best choice as targeting customers with numbers that start with the local area code prompts trust and familiarity. On the other hand, do you want to present a professional national presence to your customers with a number that is charged at the same rate as a local call? Then an 03 national business number is for you. Not only will customers assume that you are a nationwide company (even if it’s just you and a van), they’ll also thank you when their phone bill lands. Additionally calls to most 03 numbers are free as they are included in many mobile phone packages and landline bundles. Perhaps you running a non-profit organisation or charity? Therefore opt for this type of business phone number. 0300 numbers are recognised and trusted for donations as they’re solely used by charities, not-for-profit organisations, government bodies and the public sector. In comparison are you looking for a memorable phone number that immediately communicates a level of trust with callers? Therefore select a freephone 0800 number. Above all they are known by consumers as being free to call from landlines and mobile phones. As a result 0800 phone numbers can increase volumes by a whopping 185%. Furthermore are you actively seeking an additional revenue stream and want to monetise your incoming calls? Then bag a lucrative revenue share number. Imagine earning money every time you talked on the phone… Well, now you can! Earn up to 6p per minute from calls to your business using one of these specialised numbers. Now you’ve decided on the most suitable business phone number, it’s time to consider additional services that perfectly meet the needs of your business. Similarly you are looking for more than a new business phone number, then you are in the right place. Our solutions will spectacularly boost the telecommunications of your business. 24 Seven will check your existing bill and pinpoint cost savings to make sure you’re getting the best deal with your business line rental. Overall we’ll manage a seamless switch from your existing provider and you’ll keep the same phone number. Our conference calling facility is an easy-to-set-up function for those making regular calls with people across multiple locations. It’s also free to set up and has an unlimited call duration. Still sending faxes through a clunky old machine, then it’s probably time for a digital upgrade. In brief, Digital faxing works over the internet and sends and receives faxes as email attachments. Therefore no hardware or software is required. Reduce costs with a cloud-based, or ‘virtual’, phone system. All calls are made over the internet, so you’ll see a big reduction in your phone bills. With 24 Seven you can have unlimited phone lines. Set up an intelligent IVR call handling system to reduce call abandon rates, route callers to the correct person and cut down on call queue times. This solution enables you to make global calls from a landline or mobile at affordable rates. You can record all calls to and from mobile phones in real time. The files are saved and stored in 24 Seven’s secure network for easy access. If you’re in the financial sector then you’ll need to be compliant with the MIFID II legislation. Firms are now required to record every telephone communication related to client transactions to ensure fairer, safer and more efficient financial markets. We also offer bespoke telecommunications packages tailored specifically to your business’ particular requirements. Our in-house team of developers and engineers will devise the most effective solution for you. They love a challenge, so hit us up with yours. 24 Seven has been in business since 2002. We’re an established provider of business telecoms solutions and our cherished customers range from one-person operations to enterprises with more than 100 staff across multiple locations. We are one of a few providers in the UK with our own network. It is managed 24 hours per day, every day. We continually invest in the latest technology and have in place resilient business continuity procedures. We can easily handle high volume call traffic at peak times and offer a 99.99% uptime rate. This means that your busy call centre lines won’t go dead at customer enquiries ‘rush hour’ because our downtime periods are extremely rare. Every customer benefits from our intuitive, mobile-friendly, online management dashboard. This enables you to track and analyse real-time call data and quickly identify ways to improve your performance. Information includes time of call, number calling, duration and, if you have the call recording add-on, you can play back the call after the caller hangs up. Data filters allow you to run reports on the effectiveness of time-specific marketing campaigns, determine which phone numbers are resonating better with customers as well as seeing which location the majority of calls are coming from. Innovation is our middle name. We listen carefully to our customers and will embrace any telecommunications challenge to create an efficient telephony solution that utilises best practice, next-generation technology and complies with the latest regulations. Our industry-leading technical experts live and breathe the development of tailor-made systems. Each solution they create has the ultimate goal of increasing a business’ profits and boosting productivity. Over the past 16 years we have established excellent relationships with a solid network of partners and resellers, including Vodafone, Samsung, EE, Android, O2 and more. We work closely with our partners so we can pass on to customers the latest telecommunications solutions , technology, rates, services and products. You’ll always have the most up-to-date and cost-effective service from us. We offer a wide range of products and services to suit every financial plan. These can be scaled up or down depending on your changing business needs and can be purchased off-the-shelf or custom-made. A basic business telephone number starts from as little as £2 per month. Alternatively, you can contact us for a cost-effective bespoke solution that makes the most of your budget. We aim to make our products and services transparent and understandable. We know that choosing the right telecommunication services is an important part of a business’ evolution. 24 Seven is here to help you to get it right and propel your business to the next level.